Well it’s almost May again. That means it’s almost time for the Oregon football team’s annual Spring Game. 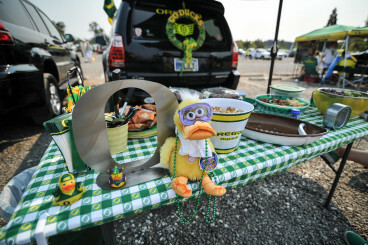 On Saturday at 11:00 a.m., Autzen Stadium will open for a football game for the first time in over five months. All of the position battles will be on display for Duck fans everywhere to get a glimpse of. As Vernon Adams’ arrival in August looms, which quarterback steps up to command the offense? How will the offensive line play with the departure of two All-Americans? How will Charles Nelson fare at defensive back? While the Spring Game offers some intrigue on both sides of the ball, everything happening around the game is just as interesting. With that in mind, I want to take a look at the fantastic atmosphere that surrounds the game. Thus, in no particular order, below is a list of reasons to enjoy the Spring Game, none of which is related to game being played on the field. 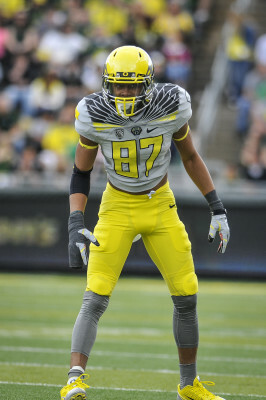 Darren Carrington in last year’s uniforms. The Ducks will be announcing new, Armed Forces-themed uniforms. Last year’s unis were crazy; I can’t wait to see what they have in store for us this year. 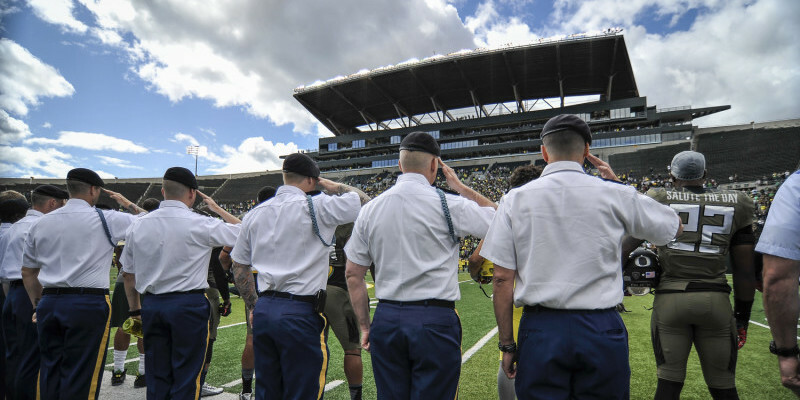 Speaking of Armed Forces, for the sixth straight year the Spring Game will honor Oregon residents who have served our country overseas. There will be a postgame ceremony commemorating their service in which all players will pass along their jerseys to uniformed men and women representing every branch of the military. Also, the Duck Store will donate $1 from the sale of selected merchandise from all Duck Store locations to the Veterans Housing Project. Need a ride? Oregon is sponsoring a free shuttle to and from Autzen from South Eugene High School and Valley River Center. Personally I’d prefer to walk the footbridge over the Willamette, but for those less inclined, you are in luck. 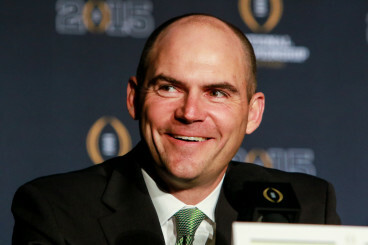 Mark Helfrich and the coaching staff will match all donations made to the PathwayOregon scholarship fund for low income high school students. Over $30,775 in new donations have been accumulated thus far. The deadline for additional donations to qualify for the matching funds is 11:59 p.m. Saturday. To get into the game, everybody is encouraged to bring three cans of non-perishable food. Last year’s donations to the Lane County Food Bank reached 54,845 pounds of food and approximately $1,664. Who needs creamed corn anyway? For once, all seats are the same cost. The seating arrangement is on a first come first serve basis, so get there early and you could be sitting pretty at the fifty yard line. Just like a regular season game, the parking lot will be open prior to the game for tailgating. The lot will open at 8:30 a.m. for all the early risers, or those who just enjoy a cold one in the morning. This Duck knows how it’s done. Directly after the football game, Oregon baseball heads up to the diamond for a showdown against Stanford. There will be just enough time to hop over to PK Park to see the Ducks take on the Cardinal at 2:oo p.m. Although the score is meaningless, there’s no question that the Ducks will be victorious. It will be nice to get a win after that last outing in Texas. Besides, it’s the only time we will get to see Oregon on the field at Autzen until this fall, so why not go out and show some support? If the reasons listed above are not enough, I don’t know what is. See you there, no matter your reason for going!